With the Specialist plant/ equipment and transport fleet that are available for hire, Burlington Aggregates operate an extensive fleet of modern HGVs from construction plant capable of covering all applications from small scale domestic projects to large scale commercial operations, muck shifts and crushing and screening works. Together with the company’s other activities and products Burlington Aggregates can provide a complete construction service to meet your requirements. The services include: crane hire, wagon hire, mixer & tipper truck hire, haulage and plant hire in Cumbria, the South Lakes & Furness areas. All trucks, cranes and wagons are operated by experienced drivers and Burlington Aggregates trained staff are available if required. A full range of plant attachments is available for specialist applications and all excavators are fitted with quick hitch couplers for increased productivity. With the Haulage Services, Burlington Aggregates is able to deliver both locally and also nationwide. 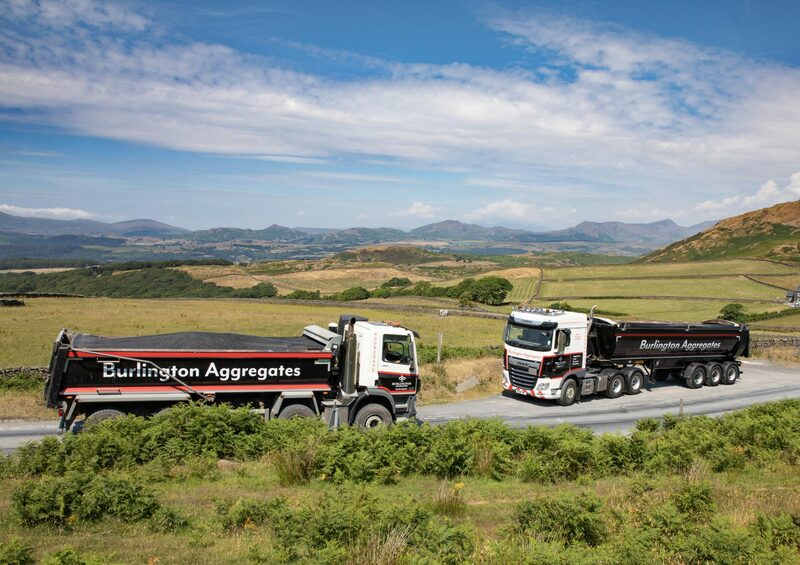 Using their own haulage vehicles and agreements with local and national hauliers, Burlington Aggregates are able to supply their product proposition anywhere within the UK. With the Inert waste disposal, Burlington Aggregates carries out all the disposal at the Goldmire Quarry, which is also one of Burlington Aggregates distribution hubs. It is licensed for the legal disposal of inert waste. The licence is supplied by the Environment Agency, and by working closely with the local planning authority to ensure landscaping is undertaken to comply with any planning conditions. Alongside all Burlington Aggregates operations, the recycling of waste is managed sensitively to help reduce the impact on the environment. As a consequence, wherever possible the waste is recycled to help reduce landfill volume.